Julie Murdoch, Director at Premier Windows and Doors advises homeowners how they can cut energy usage and save thousands of pounds in the process. We may be heading into spring but it’s also the time of year that energy companies have a nasty habit of increasing monthly direct debits based on increased energy usage over winter months. The UK has some of the least energy efficient housing in Europe and that’s not good for our cashflow or the environment. We discuss how you can cut heat loss from your home? Roof and wall insulation should be your first starting points. According to the Department for Energy and Climate Change, fitting cavity wall and roof insulation will save you more than 4,550 and 1741 kWh/year in energy. Cost effective and simple to do. If your home doesn’t haven’t have cavity walls? External wall and internal wall insulation is an option but it can be incredibly expensive, coming in it at anything up to £14,000 plus. It’s also intrusive and if you opt for external wall insulation, can have a significant impact on the look of your home. If you don’t want the hassle of internal wall insulation or either don’t want to or can’t afford to render solid brick walls, improving the energy efficiency of your home by investing in energy efficient new double-glazed and triple-glazed windows and doors is a great way of reducing home energy usage. The heat lost through windows accounts for around 25 per cent of the total energy lost from your home (Energy Saving Trust), so installation of energy efficient doors and windows can have a massive impact on the energy efficiency of your property. Replacing an existing front, back, or older patio doors with high performance, thermally efficient composite doors, PVC-U doors or new generation inline sliding patio or bi-folding doors, could save you more than 400 kWh/year per door. 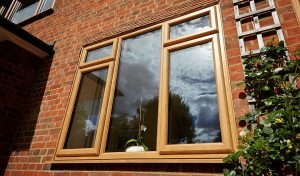 Energy efficient double-glazed windows will, in the average three-bedroom semi-detached property, save you an impressive 2355 kWh/year in energy according to Government figures – and that’s per year. In hard cash based on current energy prices that could add up to as much as £160 per annum! Premier Windows and Doors is offering free home energy efficiency checks. We also offer a wide range of thermally efficient double glazed and triple glazed windows and doors. High performance and high security multi-point locking windows and doors will also help to make your home more secure. See details here and here. For more information please email enquiries@premwindowsanddoors.co.uk or call a member of our team on 0800 854 353.